Misty Brae Farm Pony Club Riding center students. Misty Brae Farm- A recognized USPC Riding Center in northern Virginia teaching to USPC National and International Standards of Proficiency. Misty Brae Farm LLC is a recognized United States Pony Club Riding Center offering horseback riding lessons, winter spring and summer camp, horse boarding, horse training, and horse showing, and all of the benefits and opportunites available through the United States Pony Club. If you are looking for riding lessons in NoVA, we are conveniently located in Aldie, just 35 miles from Washington DC, and our trained staff of equine enthusiasts will be able to fulfill almost any need. Come learn to ride in the fun and safe environment of Misty Brae Farm. For those looking for horse boarding, our farm offers stalls in any one of our three barns, all equipped with stall mats and heated automatic Nelson waterers. Our largest barn also boasts ceiling fans above every stall for the hot Virginia summers. Our large indoor ring allows for all weather riding, and extends the hours available to ride with its abundant lighting. Our two outdoor rings provide an ideal place to school over our quality jumps. We also have a limited access to trails, as well as fields in which to condition your horse or pony. Our Horse Show program is another fun attraction here at Misty Brae Farm. 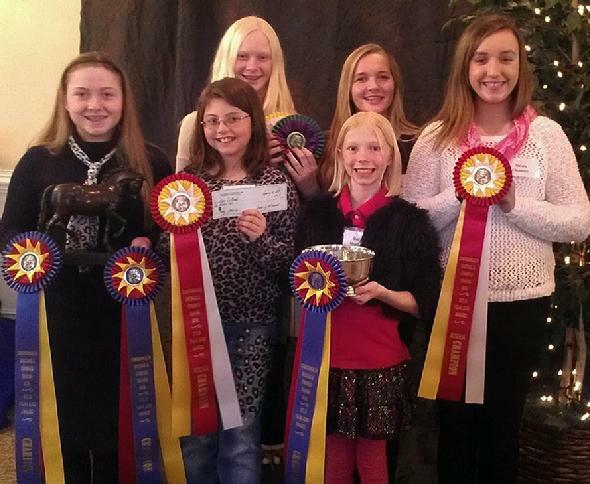 We participate in shows and classes suitable for our youngest of competitors as well as to seasoned show veterans. If your horse is in need of training, let our professional trainer fill your needs. Five days a week we offer riding services to our boarders for a monthly or by ride fee. We have ample experience to share. Victoria Hutcheson, the owner and operator of Misty Brae Farm, is an "A" graduate Pony Clubber, USDF Bronze Medalist, and has competed through upper levels in Show Jumping, Three Day Eventing and Dressage. She spent eight years under the tutelage of Hungarian FEI dressage judge Major Bela Buttykay, and recently training with Mary Flood, Lauren Sprieser, and Allison Spivey in dressage. Victoria has trained with Jack LeGoff and Virginia Holgate Leng in United States Equestrian Team training sessions. This former student of James Wofford and Sarah Cousins then went on to compete in the open jumper division. Victoria has been teaching since 1985. If learning to ride is your goal, or if you are looking to polish your equestrian skills, drop us a line at mistybraefarm@gmail.com or tracie@mistybraefarm. Riding Lessons and Camps in northern Virginia - Serving Stone Ridge, South Riding, Brambleton, Chantilly, Haymarket and all of Loudoun, Fairfax, and Prince William Counties.